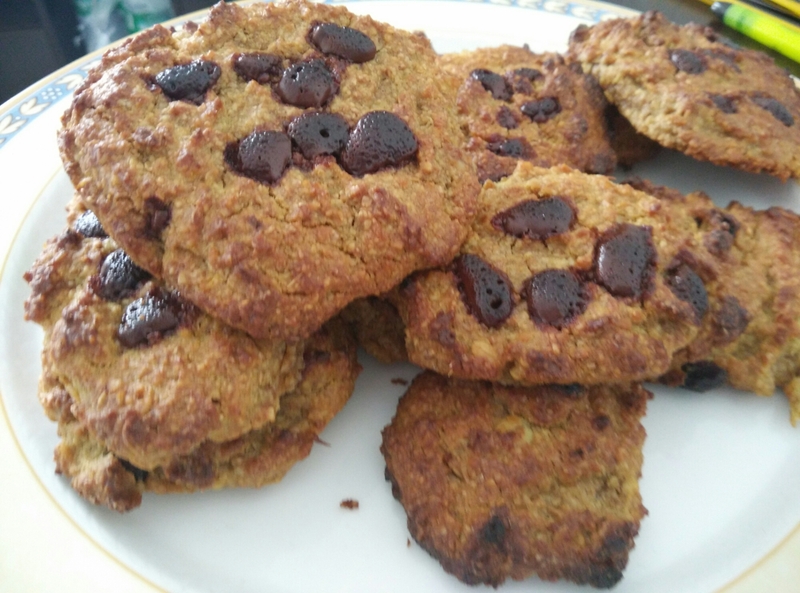 ¿Os apetecen unas ricas galletitas de avena? Están deliciosas y en tan solo 10 min estarán listas! Primero pelamos las naranjas y las batimos. Luego añadimos la harina, levadura,aceite, azúcar, canela al gusto y avena. Removemos hasta mezclar todo. Añadimos el chocolate en trocitos que queramos o las pasas. Con una cucharada las ponemos sobre papel vegetal o papel de aluminio pintado con aceite e intentamos que quede la forma de galleta. No es fácil de manejar con las manos así que simplemente colocarlas sobre el papel con la cuchara. Horneamos con el horno previamente precalentado 10 min. Do you want to cook this delicious oatmeal cookies ? They are vey tasty and they will be ready in only 10 minutes ! First remove the peel of oranges and beat them. Then add to the oranges flour , yeast , oil, sugar , cinnamon to taste and oats. Stir all together until is well mixed. Add the chocolate in small pieces that you prefer or raisins.If you have a sweet tooth is better if you make them with chocolate. With a tablespoon get the mixture and put them over greaseproof paper or aluminum paper painted with a bit of oil. 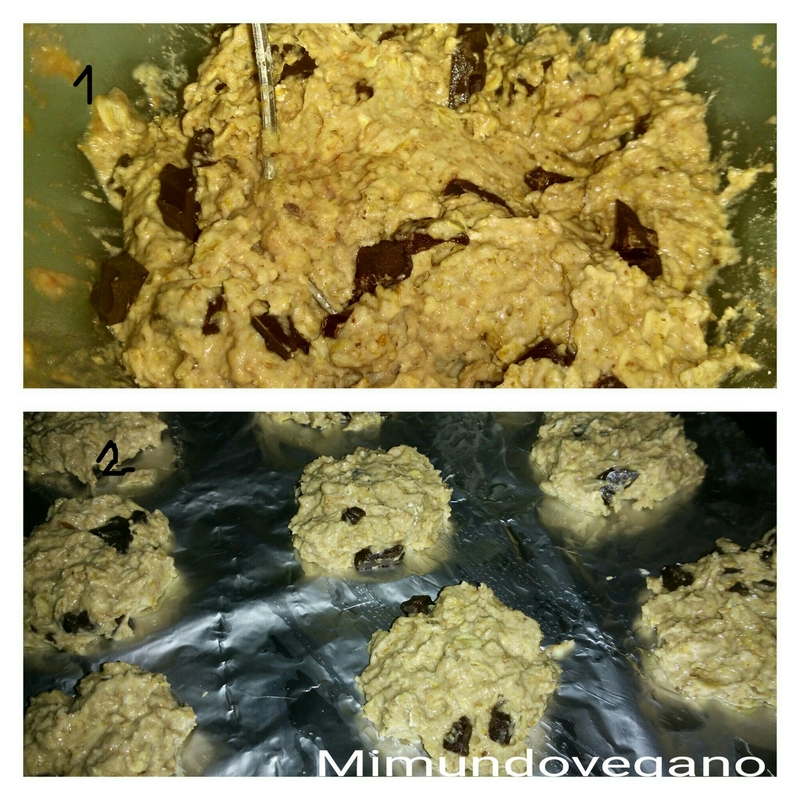 Is not easy to make them with your hands so do the shape of the cookie the better you can with the spoon. With the oven preheated bake them for 10 min.